The build quality of the Eachine Wizard is damn impressive for a cheap RTF quad. The eachine wizard is definately bringing eachine’s product to new heights in the Ready to fly scene. With 4mm carbon fiber arms with 1.5mm thick base plate, comes with another 1 mm mounting plate for extra protection. 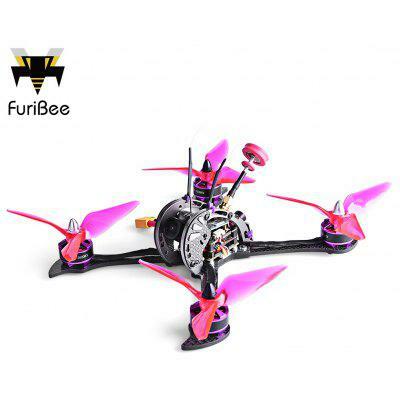 The Eachine Wizard X220 RTF is very sturdy, and has strength to handle hard crashes. However aerodynamics suggest that the side plates should be removed to ensure air passes through when u do a turn. The Eachine Wizard X220 comes with Eachine’s 2204-2300kv motors are not really fantastic but this versions motor is very quiet and has alot of potential depending on your props. I personally fly with HQDurables 5046 from skyhobbies. They are just too good, but the kingkong props that come with the Eachine Wizard X220 RTF are good for starters. Look they have pink props! The Skyzone vtx TS5823S 200mw 40ch esc are good but changing channels are quite a pain. the switches doesnt allow for easy channel switching and is good for races only. Use a 600mw vtx for solo flying. One of the gripe i have with the wizard is the FPV camera, change it as soon as possible. Its not suitable for good flying. With the field of view is so small that i have problems monitoring my surroundings. Go get a Runcam owl plus or runcam swift or even the new runcam eagle alternatives to runcam are the Foxeer HS1177 and HS1190 arrow fpv camera. This has to be one of the best quads eachine build, everything about the quad is of excellent build except the antenna and the fpv camera. To be honest i did race with the Eachine Wizard X220 RTF. Another thing to note that if you want speed, this is suitable for you. But if you are a complete newbie, the wizard might be too much for you. Both of Mode 1 and Mode 2 come with F3 6DOF flight controller and 2205 2300KV brushless motors now. I’ve been waiting for your review, Thank you!! Sounds like a good next step after I master my Tiny Whoop! Any suggestions on mounting a SJCAM or Mobius to this unit without a dampening plate? Thanks a lot for this review and the video ! Can you give us the PID you used to reduce the ocillations in your video ? Again thx for the article, for the work and for the share ! Hi, I have some quadcopters (H107, DM003, X100 and X251). 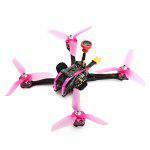 I want to try a racer/fpv quad. Between this one or the EB185 what model do you think is best for a beginner racer like me? Or do you have another model to suggest? get the wizard, its near crash proof, use a 3s battery. Have you added a buzzer to the Naze 32? how do you think a Sjcam m10+ connected to the vtx will be on this? Jo the sizes of the quad are wrong can you please fix that ? Hello, does this quad have wifi to transmit the video to an iphone? Or would I need to change the camera ? If I wanted to fly this quad FPV which goggles would you recommend? Page very helpful thanks! I would have a budget of 240 dollars for the entire setup. love my wizrd but i cant find a dip switch chart for the vtx any ideas? News, Contests, Deals & more!